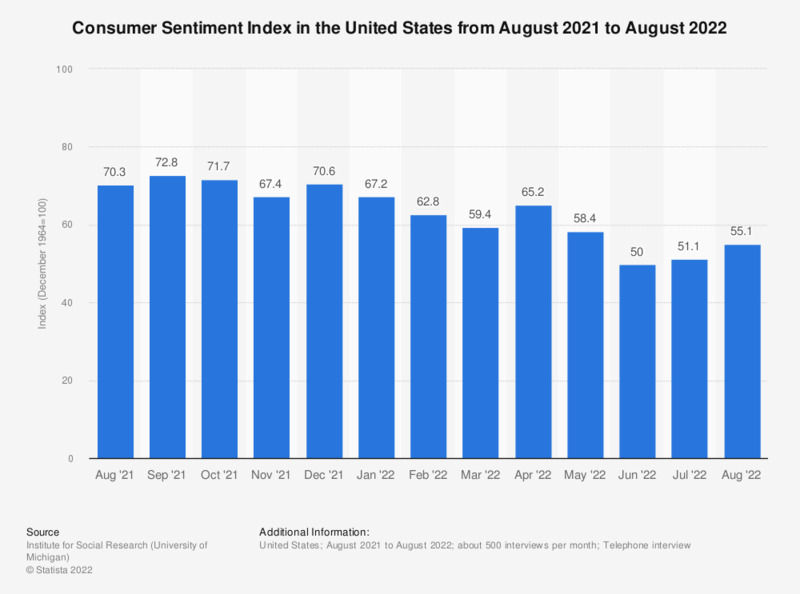 This statistic shows the U.S. Consumer Sentiment Index from March 2018 to March 2019. The index is normalized to have a value of 100 in December 1964 and based on a monthly survey of consumers, conducted in the continental United States. It consists of about 50 core questions which cover consumers' assessments of their personal financial situation, their buying attitudes and overall economic conditions. The Consumer Sentiment Index stood at 98.4 in March 2019.